Deer hunting is a pastime that’s widely enjoyed throughout the United States. The thrill of the hunt isn’t the only thing that elicits interest from both seasoned outdoorsmen and casual hunters. Communing with nature, spending time with friends and getting a rigorous workout all contribute to the widespread appeal of deer hunting. While it’s true that deer hunting is a lot of fun, things can go south rather quickly if the proper precautions aren’t taken. To ensure that your next deer hunting excursion goes off without a hitch, take care to heed the following safety tips. Every year, a number of hunters are shot as a result of being mistaken for deer. Not surprisingly, many of these unfortunate individuals aren’t dressed in proper hunting attire. To prevent such a mix-up from occurring, it’s highly recommended that hunters dress in bright orange clothing. This dramatically decreases the chances of a fellow hunter mistaking you for a deer and opening fire. Additionally, most states mandate that hunters don the aforementioned attire — which isn’t to say that certain individuals don’t wantonly ignore this law. Before setting off on your next hunting excursion, make sure your friends and family members know where you’re going and what you’ll be doing. This ensures that if you become lost or injured during the hunt, your loved ones will have a good idea of where to begin their search. To this end, you also might want to consider hunting at a highly-rated lodge. South Carolinian hunters searching for the best SC deer hunting are urged to contact the Fairfax-based Cedar Knoll Hunting Lodge. Although this particular rule of thumb may seem pretty obvious, a staggering number of hunters are mistaken for deer each year. 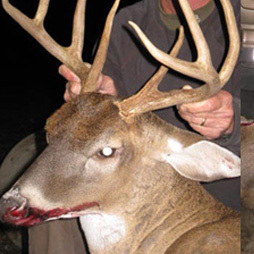 While wearing the previously-discussed hunting attire can help prevent this problem, it also behooves hunters to be 100 percent certain that their intended target is, in fact, a deer before opening fire. Safety should be foremost on the mind of every deer hunter. A wide range of hunting accidents can be avoided with a few simple precautions. The next time you hit the woods in the hopes of bagging some deer, remember to don the proper hunting attire, make people aware of where you’re going and exercise extreme caution before firing. This entry was posted in Uncategorized on August 15, 2016 by 15803827. Finding a good place to hunt can be an uphill battle. Many seemingly favorable spots are either packed to the brim with other hunters or lack sufficient wildlife. That being the case, many hunters opt to engage in their favorite hobby at designated hunting lodges, like the South Carolina-based Cedar Knoll. As one of the Palmetto State’s highest-rated lodges, Cedar Knoll prides itself on providing guests with a thoroughly pleasant hunting experience. If you’re thinking about heading to Cedar Knoll for your next hunt, the following perks are sure to help guide your decision. Nothing sours a hunting trip like going home empty-handed. Fortunately, the prospect of an unsuccessful hunt isn’t much of a concern for hunters at Cedar Knoll. After all, the lodge offers up some of the best deer and hog hunting in South Carolina. Cedar Knoll is so confident in its guests’ chances of success that the lodge offers special discounts to customers whose hunts are unsuccessful. Cedar Knoll also limits the number of hunters it allows on the premises at one time. Not only is this highly conducive to hunter safety, it also increases guests’ chances of success. In addition to decreasing the likelihood of animals being scared off, controlled numbers ensure that there’s more game to go around. Many people hold the belief that hunting lodges are only frequented by the very wealthy. While this may be true in the case of certain lodges, Cedar Knoll goes out of its way to make itself accessible to hunters from all economic backgrounds. With daily rates that are affordable on virtually any budget, Cedar Knoll truly is a hunting lodge for the common man. If you’re having trouble finding a bountiful hunting spot, there’s no need to despair. At Cedar Knoll, hunters have the opportunity to pursue a wide range of game across picturesque woodlands. Boasting high success rates, controlled hunts and affordable rates, Cedar Knoll’s reputation for excellence is well-earned. This entry was posted in Uncategorized on August 8, 2016 by 15803827.